Chesapeake Hardwoods offers a range of solid and engineered flooring that is appealing and offers price ranges for everyone's budget. Chesapeake manufactures a line with a Clic installation - the Clipper Collection - that doesn't require the use of glue or nails. Choose from several exotic and domestic species including Acacia, American Walnut, Birch, French Oak, Hickory, Peruvian Cherry, Acacia, Kempas, Seringa, and Taun. Many collections come with a handscraped finish and there are plenty of smooth finishes to choose from. Each floor in the Chesapeake collection comes with a residential warranty and a light commercial warranty. The warranties range from 25 - 50 years for residences and 3 - 5 years for light commercial applications. All floors have a lifetime structural warranty. Rest assured that you are making a quality investment in your home with your purchase of a Chesapeake hardwood. These hardwoods are inspired by the Chesapeake region and reflect the calming Old World style this area is known for. The planks in this brand range in sizes from 3 1/2" to 7 1/2" wide. All floors have micro-beveled edges and ends which accentuate each board and give depth to a room. 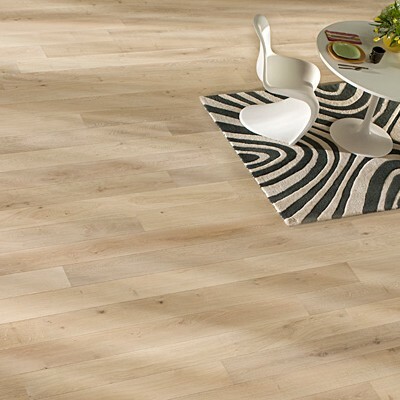 Flooring.org offers affordable prices on these elegant wood floors and is pleased to offer all the collections in this brand.